CPS is the short form of ‘clicks per second’ and conducting a CPS test or kohi click test helps us ensure that how fast we can click. There is a large number of clicking speed test websites that can be used for free online clicking speed test. A successfully conducted CPS test helps you test the superiority of your computer mouse and know it’s real potential while working on PC. Online clicking speed test websites are best to have an accurate idea that how fast you can click with your mouse. These websites test your clicking speed against time (usually clicks per second) and give you a clicking score according to your performance during the test. Whether you want to perform a Kohi Click Test or CPS test to check the speed of your mouse, you can make use of these best online clicking speed test websites right now. It is one of the most commonly used websites for clicking speed test around the globe. The website calculates click speed against time and creates a real-time clicks speed chart of your performance during the test. The best thing about this CPS website is that there is no limit of time and whenever you will stop clicking, it will provide you average click speed based on time spend during the test. This clicking speed test website offers you a clicking challenge to measure the CPS for you. There is the time limit of 30 seconds and you will have to click on the entire area of the websites as many times as you can do with your mouse. The website has a sleek but appealing appearance that provides a great user experience while checking the CPS speed of your mouse. At the end, it shows the CPS score for 30 seconds spent on the website. This website offers 6 different types of clicking speed tests that can help you determine the actual speed of clicks per second. You can test your clicking speed for up to 100 seconds in your first 5 tests and it also provides the CPS (click per second) score at the end. And the 6th test is specifically conducted for one second only to measure the clicks per second by clicking continuously to calculate the highest number of clicks in second that your computer mouse allows you to do. Its another amazing website to check your clicks per second speed. It has great programming work behind and welcomes its users with a big rectangular box where a user will need to click in order to check CPS score. 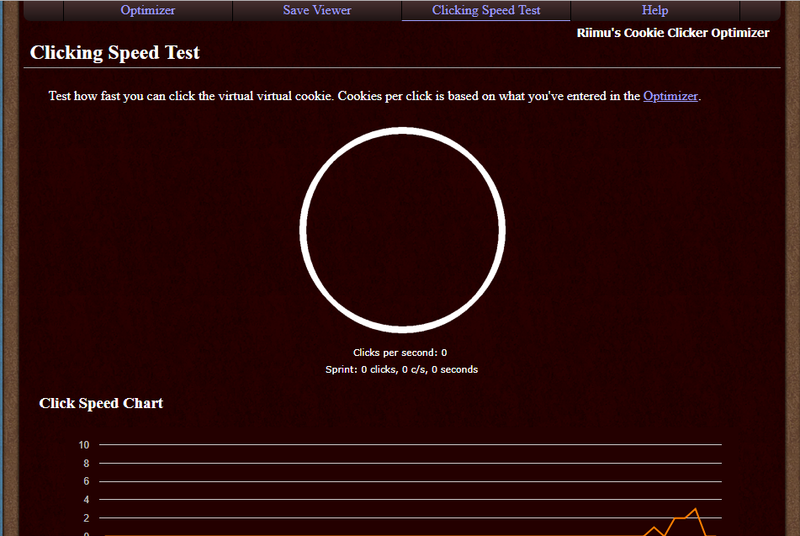 At the end of test, this clicking speed test website also provides a graph that illustrates the visual of clicks done. You can click in the green box for 10 seconds to measure that how much clicks your computer mouse allows you to make. After opening this clicking speed test website in the browser, you will need to click as fast as you can in order to get the exact CPS score at the end. It offers 5 seconds of clicks speed test to measure the clicks per second during the test. At the upper right corner of the screen, you will be able to view the clicks counts. The test begins right after your first click on the screen and the test ends with accurate clicks per second and remarks regarding your performance. This online clicking speed test website has a 60-second click challenge for you to measure your CPS score. During the test, you will need to click as rapid as you can using your mouse. It shows that how much clicks you can do in a minute. This website offers you a clicking speed test for the duration of 10 seconds and also has a World Mouse Clicking Championship where you can test your luck as well to break the existing records. 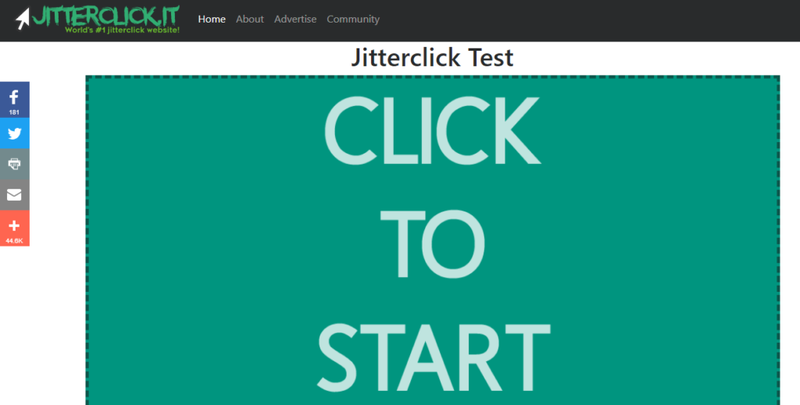 First hit the start button and then start clicking on click here button to check how many clicks you can do in 10 seconds. 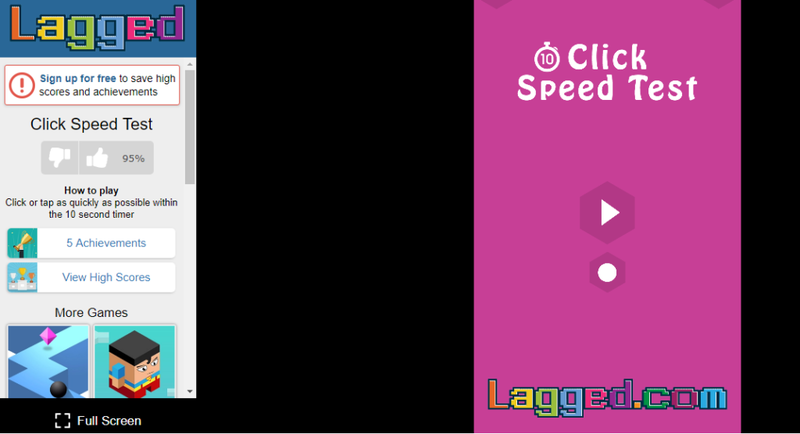 On this clicking speed test website you can enjoy the test because it has click speed test game that not only provides you the accurate clicks per second score but also entertains you in a great way. In the 10 seconds countdown, you will have to click rapidly and it will give you exact results in form of CPS score that shows the potential of your mouse. You must have flash player installed on your PC to play this clicking speed test game.